Hardwood flooring is one of the most beautiful elements in any home. Unlike all other types of flooring, solid hardwood flooring can be restored to its original beauty. Every hardwood floor is different, and there are some important considerations depending on the age, condition and the number of times a solid hardwood floor has been refinished in the past. Call us today to set up a free in-home consultation. We will complete an inspection and recommend what is best for your floor. There are two levels of hardwood refinishing: buff and coat or a full refinish. If conditions allow, we can also repair water damage, wear and tear, and patch your existing hardwood floors. 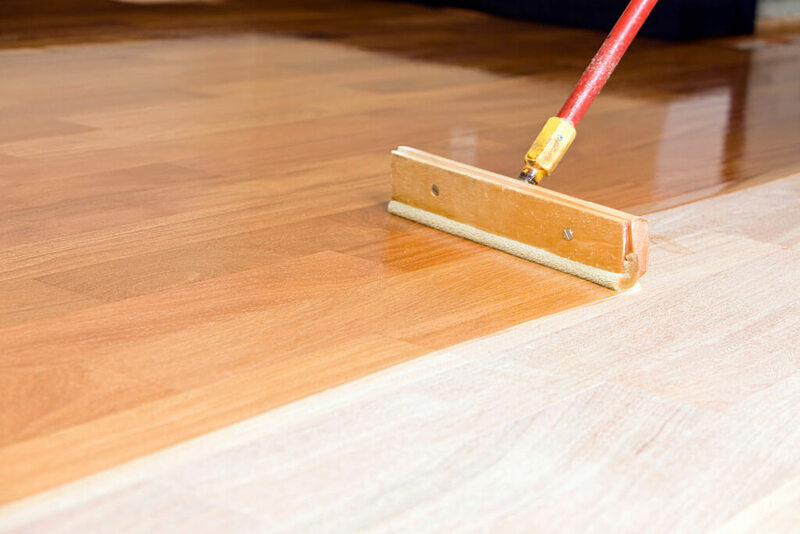 During this process our team does a thorough cleaning of the solid hardwood flooring. Then the existing top layer of finish is removed by lightly sanding the floor. The last step in the process is applying a new top coat of finish. It is recommended that this process be completed every 3-5 years to properly maintain and protect your solid hardwoods. This process will only refresh the top coat of the floor. It will not remove large or deep scratches and will not restore the original color. For a full refinish we sand off the finish and a thin layer of actual wood from the existing floor. This exposes the raw wood. We then use 3-5 different grits of sand paper to fully smooth out the new top layer of hardwood. Once the sanding is complete, we apply sealer and finish. A sand and refinish will remove deep scratches, discoloration and any damage that was on the surface of the flooring. Damage that has affected more than the top surface may require board replacements during the refinish process in order to fully restore your floor. 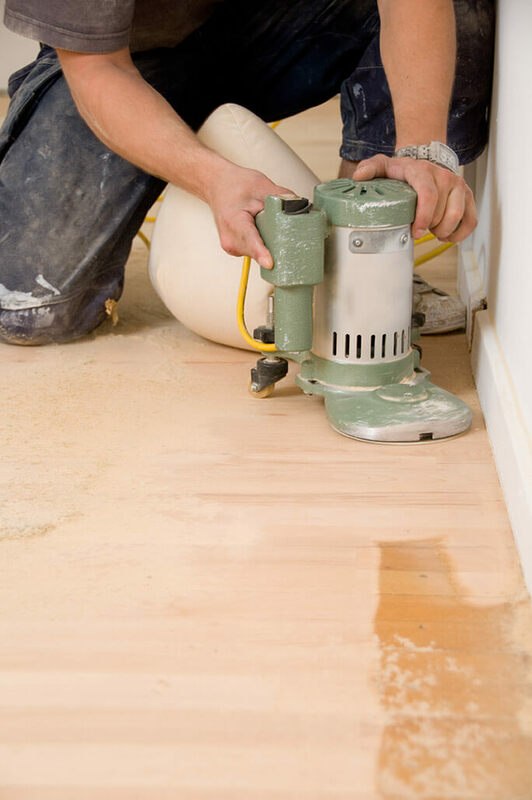 While hardwood floors are a long-lasting and durable flooring material, water damage, wear and tear, or remodeling can leave your hardwoods in need of some help. We can repair or patch most solid hardwood floors depending on the level and type of damage. Every hardwood floor is different. Call us today to see what needs to be done to bring your hardwoods back to their original beauty. We love the floor! Many heartfelt thanks for what looks like a good product. You are very thorough and dependable, and we are deeply grateful for those qualities when doing business with folks. Somerset Hardwood – Why Do We Sell This Brand? I'm sure there are times when you've walked into a store and wondered why they chose the brands they have … [Read More...] about Somerset Hardwood – Why Do We Sell This Brand? We won't use this personal information for any other purpose, and it will not be shared.